Android P launch by Google as next OS after Android Oreo | Android P best features and specifications : Get ready for Android P, an upgraded version of Android after Android Oreo. Google is likely to introduce the next operating system for it's Android based smartphones by the name Android P for which all the required formalities have already been started. 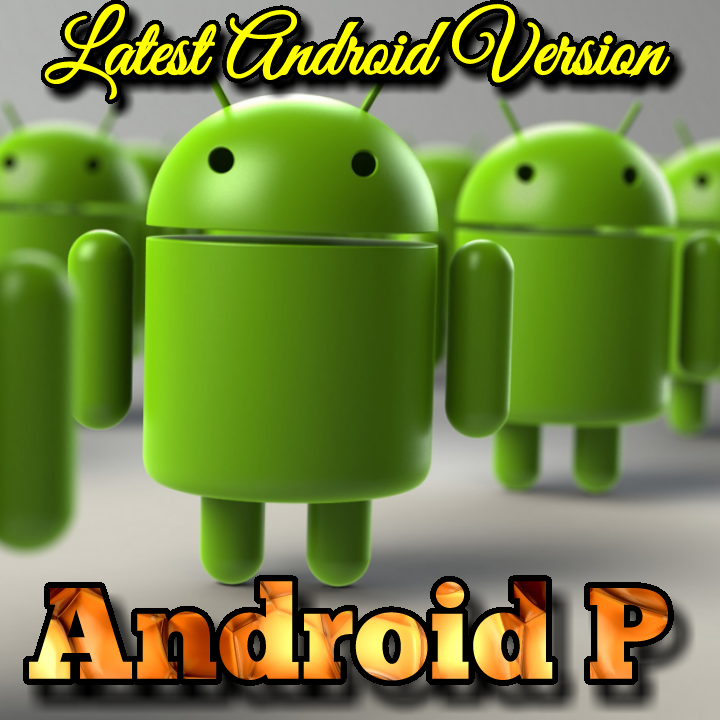 As we are already familiar of Google's strategy of keeping the name of it's OS on the basis of increasing order of English alphabet since very beginning and the therefore, after the successful implementation of it's previously launched OS by the name Android Oreo in the smartphones globally, Google has decided to launch the next OS by the name 'Android P' with more equipped and advanced set of features. Though Google has equipped most of the smartphone brands with Android Oreo globally, yet there exists only 1.1 percent of the smartphones only in which this OS has successfully been implemented. The percentage therefore is extremely low in comparison to the expectations of the company. Lower the percentage of the smartphones supporting this Android Oreo OS, lower will be the business and accordingly there will be lesser feedback from all over the world regarding this newly launched OS. Google is planning to launch this upcoming operating system by the name Android P and deciding to get it implemented in a maximum percentage of the smartphones supporting the Android operating system. Company is planning to launch this operating system with a new software look and thereby a more advanced and user friendly layout. The interface will be more attractive in comparison to it's already launched versions previously to attract more and users from all over the world to purchase the smartphones equipped with this newly launched OS or to upgrade their previously installed OS to Android P to get more attractive set of features along with upgraded software updates too. Google's strategy to launch this new OS can be also be thought in the sense of attracting the iOS users from all over the world. As per the reliable sources and news from the reliable media reports, Apple is not at all interested to launch it's updated OS with new software looks and designs at all following which Google's strategy to launch Android P with updated software features and user friendly designs will definitely work to attract more and more customers to switch over from iOS to Android. However, Apple's complete strategy to launch it's upgraded OS is not crystal clear, the news from the reliable media reports has disclosed the facts. Apple is willing to focus upon the phone's performance and user experience much more in comparison to the designs and layouts. As per the reliable media reports, Android P to be launched by Google will be empowered with Notch support similar to that of iPhone X which has already been launched by Apple in the market. In addition to this, Android will be made equipped with multiple screen support also to access the various phone's features together and simultaneously by the consumers. Samsung will be launching a new smartphone along with the Android P support very soon which will have a foldable display to provide the users a very unique and different kind of user experience in comparison to the previously launched Samsung smartphones with previous Android OS. A third party assistant may also be included as the latest feature in Android P operating system following which the Google's assistant can be made more empowered to perform nicely. As per the reliable technology news by the reliable mediums, Google will be launching the first developer preview version of Android P by March, 2018. 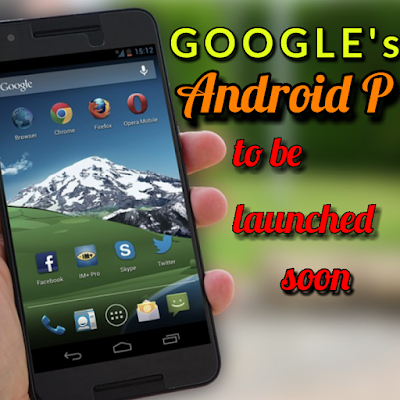 After this successful launching and getting the user feedback about the pros and cons, the latest update of this OS in the smartphones will catch a needful speed to get more and more Android enabled smartphones upgraded with Android P.
"The author of this blog is Masters in Computer Science and Information Technology with deep rooted built in passion to share his knowledge globally among the people via Blogging. Working experience of several years in Technology and Education related fields under most reputed designations has empowered the author to share ultimate quality contents for gaining instant knowledge. Stay tuned to get access to entire informative contents relating to Technology, Finance, Education, Career and Business."